I didn’t expect this, but a sequel arises from my last post. Not only is it great to use your talents to serve, and in doing so, give back to God – but perhaps even greater to identify how to best serve – even if that means passing the torch. Normally, I play the high school show choir stuff pretty well, improvising and reading the skeleton charts as guides. This year, though, they are playing 40’s swing music, which moves very quickly and has its own character that is somewhat foreign to me… certainly not my primary area of expertise. But some friends of mine from different churches in our area have been meeting to create a worship experience and I’ve met a great keys player named Louie. Already, from what little I’ve seen, I know he is the better man for this job. So even though it means losing out on hundreds of extra dollars for me, I believed the choir would be better served with him at the piano, so I’ve offered him the gig this year. This piggybacks on my last post with service being our goal. At the Last Supper, the room smelled like dirty, Jerusalem feet. So Jesus got up and washed all the feet in the room, demonstrating his call to service. Peter had an opportunity to share in the service but missed it. Let’s not miss our service opportunities, but embrace them and do or delegate as the Lord leads. Whenever I return to my old High School to help accompany the choir on the piano, I remember when I was a part of that group of singers, and other groups where we made vocal music. The part I sang was generally the Baritone part, occasionally dipping down deeper in the bass clef. You can’t really sing that (baritone) part alone and expect anyone to follow, or enjoy it. It is meant to be sung with other voices to build the whole chord. Without it, though, the sound is empty and lacking. So today, I was just reminded about how great it is to be involved with a church family, working alongside people who share a common goal – of spreading the gospel via each of our many, diverse talents. Everybody is important. 1 Corinthians 12 talks about the whole body and each part’s significance. We should all remember that because we are a part of the body of Christ, we are each eternally important. To add to the high school choir scenario, I always wonder if they realize what they are a part of. Sometimes, they don’t pay attention, or bother to show for rehearsals. Sometimes they pay more attention to how they look in the rehearsal mirrors than on their sound or their cues. Sometimes they lock in and sound great. Every time I leave that room, I simply wish that they could recognize the significance of the opportunity they have – and that they would embrace it, cherish it, and value it. The same thing could be said about us in the church. Be encouraged today to be who God made you to be. Celebrate it and share the life that is in you through Christ with someone who needs your specific brand of love. Men’s Lunch (i.e. M.E.A.L./”Pizza Day”) busted wide open today as we spoke about the use of entertainment as it relates to living a holy life. Specifically, the fantasy genre of such classics like “Lord of the Rings,” “The Hobbit,” “The Chronicles of Narnia,” “Harry Potter,” etc. The best I could come up with was to offer the truth that God’s nature is one of love and creativity. And since we are created in His image, we should be loving and creative too. I wouldn’t mind exploring this through comments, so feel free. What a great show! Well, if you’re into zombies, planetary love songs, Rock Band, (baseball/history? ), and cake. Yes, indeed. There was cake. Long time comin’ too. 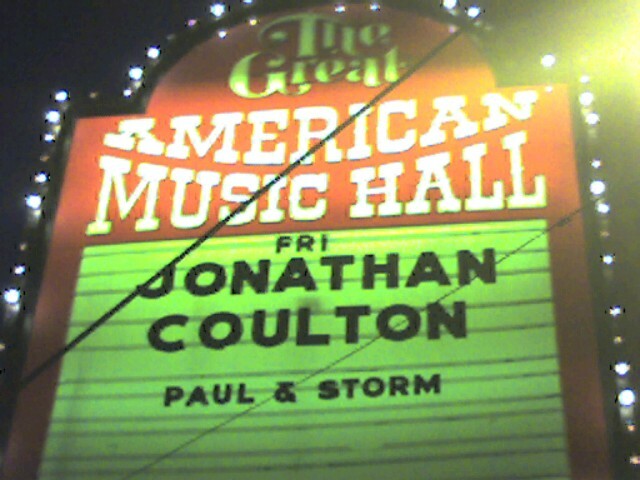 Paul and Storm were also a hit with great numbers like “The Opening Band.” Jonathan Coulton certainly is a favorite of mine. I finally picked up the entire Thing-a-Week Box Set, along with Smoking Monkey – which made the drive home a lot easier. I’d like to encourage you to listen to his stuff and support his work as you can. By utilizing the Creative Commons license, JC allows people to freely share his music and the community gives back by sewing stuffed monkeys and ponies together – although personally, I think they use too many monkeys in doing so. Not only that, but they draw pictures, create T-Shirt designs, dress up like zombies (and offer to zombi-fy you too, go figure). You can download much of Coulton’s catalog for free. Enjoy, become a fan, then help him pay his rent by buying a Thing or two. 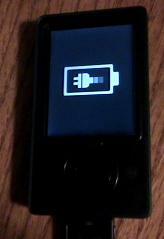 While in NorCal, my friend Jason gave me a brand new Microsoft Zune he hadn’t opened. It doesn’t do anything except this. You are currently browsing the Jeff Little blog archives for February, 2008.